Adding Up to Peace: The Cumulative Impacts of Peace Initiatives aims to identify how cumulative impacts in peace practice operate at all levels, in order to provide practical lessons for policymakers, donors and practitioners to develop more effective strategies for greater progress towards peace. This book builds on CDA’s Reflecting on Peace Practice Project (RPP), launched to answer the question: What works—and what doesn’t work—in peacebuilding? It seeks to deepen our understanding of how multiple peacebuilding initiatives in a conflict zone interacted and added up (or didn’t), to result in progress towards larger societal level peace, or Peace Writ Large. The findings are a product of sixteen case studies conducted between 2007 and 2012, gathering the perceptions of both local and international stakeholders. The finalization of this book was generously funded by Humanity United. The opinions expressed are those of the authors and do not necessarily reflect the views of Humanity United or of CDA Collaborative Learning Projects. Suggested Citation: Chigas, Diana and Peter Woodrow. 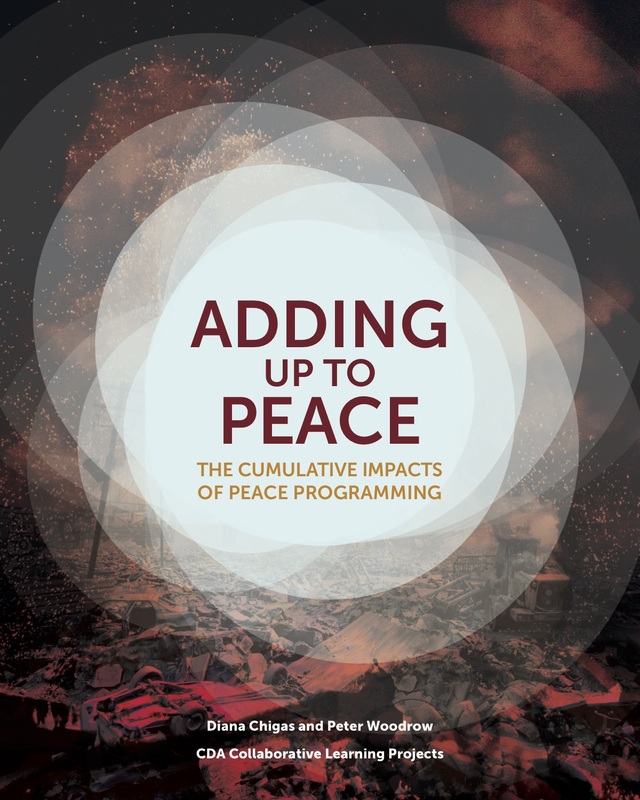 Adding Up to Peace: The Cumulative Impacts of Peace Programming. Cambridge, MA: CDA Collaborative Learning Projects, 2018. 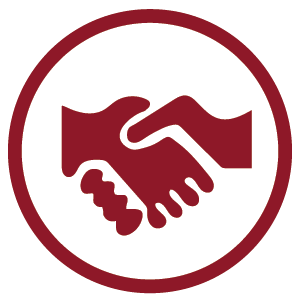 Adding Up to Peace is a precursor to CDA’s work in the area of Collective Impact. 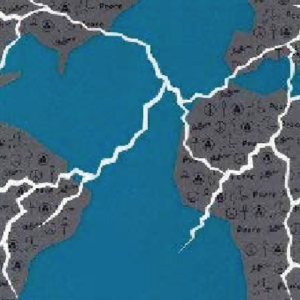 The project Collective Impact in Peacebuilding – Testing A New Model seeks to identify salient features for effective collective action in peacebuilding. As such, in 2017 CDA produced “A Framework for Collective Impact in Peacebuilding,” adapting existing resources developed by FSG and reflecting on the sixteen cumulative impact case studies. CDA field-tested the Framework in three case studies in Burundi, Kenya and the Philippines and completed a cross-case analysis in Sri Lanka and Nigeria to document and learn from the experiences of collective impact efforts by formal and informal peacebuilding networks. CDA then revised the Framework to reflect the learnings gathered through the case studies and consultations which convened practitioners working on collective impact in peacebuilding. This Revised Framework is intended to serve as guidance for practitioners and policymakers to facilitate system wide changes through multi-stakeholder initiatives.The completed case studies, revised Framework and other relevant information can be found here. This book represents a massive amount of work by many people over many years. Mary B. Anderson, Executive Director of CDA Collaborative Learning Projects when this effort started, helped to conceptualize the “cumulative” case studies and engaged in all of the early consultations and several staff analysis sessions. A number of other colleagues at CDA participated in various aspects of the project: organizing case studies, facilitating case writers’ travel and local contacts, editing draft cases, analyzing and coding case material, and helping to organize and run consultations and feedback workshops. Colleagues who provided crucial support in those ways included: Chloe Jaleel, Carrie O’Neal, Andrew Wei-Chih Yang, and Ethan Schechter. Some staff worked more intensively: Isabella Jean not only helped in the ways cited above but also developed two of the case studies and did crucial work on case coding and analysis. Most of these staff members were also pressed into service writing Issue Papers containing preliminary findings that were then used in consultations and feedback workshops. We also owe a considerable debt to the case writers themselves (see list of cases and writers in Annex A), who took on a challenging assignment and performed well in and good spirits, in spite of the difficulty of assessing cumulative impacts in an entire country or conflict area in a limited amount of time. Most of the case writers also participated in consultations—and listened to feedback and questions to finalize the case studies. In the final stages of manuscript development, Anita Ernstorfer and Andy Carl provided valuable feedback, leading to vital improvements. Our profound thanks, also, to our colleagues Sweta Velpillay, who kept us on track through the final steps of text editing, and Jasmine Walovitch, who organized the copyediting, indexing, formatting and online production of the book. Of course, none of this would have been possible without the generous support of several donors. These include AusAID (now the Australian Department of Foreign Affairs and Trade); the Office of Conflict Management and Mitigation at USAID; the UK Department for International Development; the Swedish International Development Cooperation Agency; and the Norwegian Ministry of Foreign Affairs. And, last but certainly not least, our colleagues at Humanity United, Elise Ford and Carrie DuLaney, not only provided funding to enable finalization of the book but also insisted that this book be made available to the peacebuilding field and the public. Thank you for making that final push!